TripShock.com is your all-in-one vacation planning resource for Panama City Beach. Browse and book over 50 vacation activities and 25 hotels with lowest price guarantee. Take a pontoon boat to Shell Island, or spend a day learning about ocean wildlife at Gulf World. 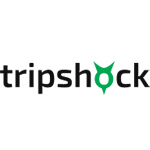 Tripshock.com makes it easy for travelers to find an affordable vacation experience that the entire family can enjoy.